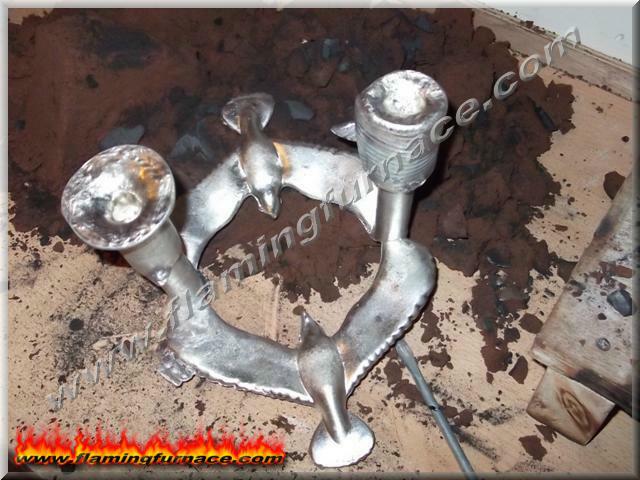 In this sand casting project I used one sprue and two risers making sure the mould cavity would be full with molten aluminum and enough aluminum to "feed"the casting without having any shrinkage. Making a mould with a pattern that is flat on one side is very easy and it didn't take too long to prepare. In the image you can see that the risers did their part by feeding the mould and preventing casting defects. 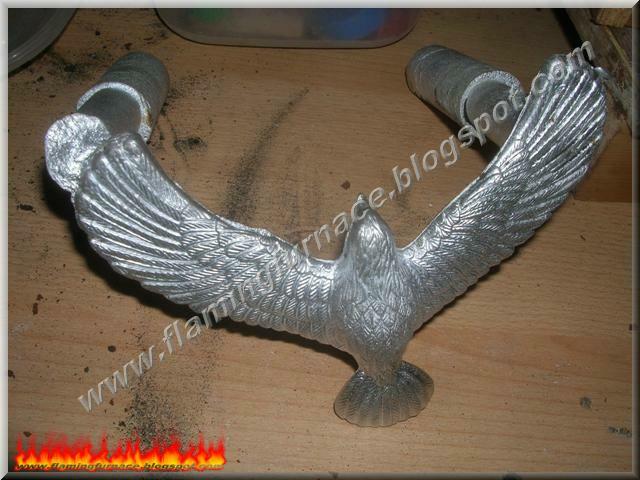 This week I sand casted an aluminum eagle. The eagle pattern is relatively flat so it's an easy and quick job to make the sand mould. I got more scrap aluminum from a baby pram frame and some un-used aluminum crutches. After stripping all the plastic parts and braking the aluminum so it will fit into my crucible I got plenty of molten aluminum alloy to keep me going for a few more projects. dross needed to be skimmed off, so I got plenty of molten aluminum. Here are a few images of the aluminum eagle after the aluminum cooled down and I opened the flask. Nothing goes to waste all the extra aluminum is turned into ingots. 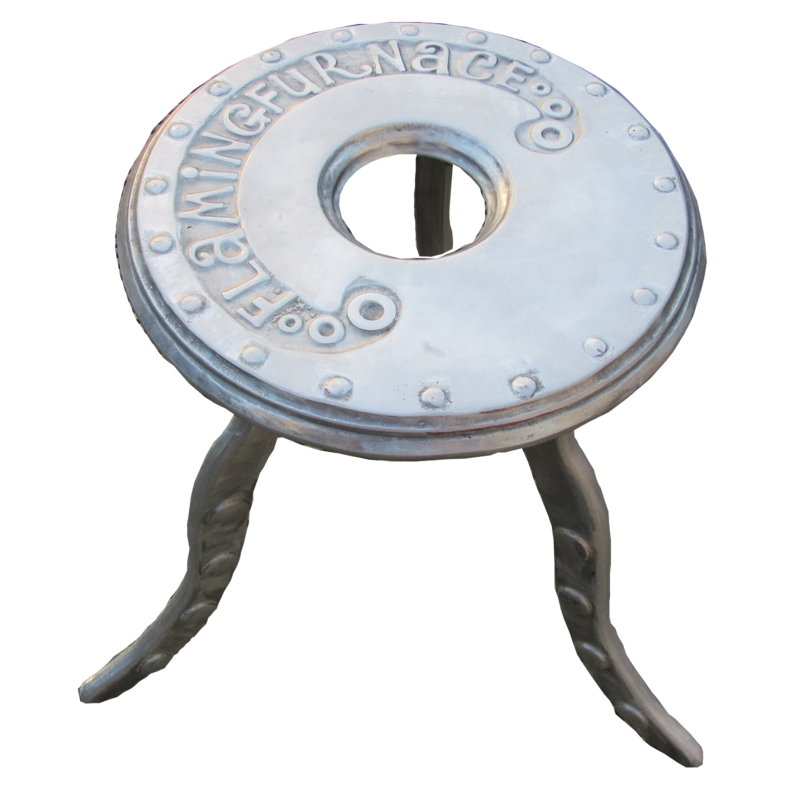 Sprue and Riser are cut off for another casting cycle. This is another addition to this post my "flock"of aluminum eagles is getting bigger. I made 3 in 1 flask. Next I started to tap screws on the back of them to secure them to the wall. This casting I made using only one riser and one sprue for two aluminum eagles.